Dr Kort Harshman DC Dr. Kort Harshman is a 1984 graduate of Palmer College of Chiropractic in Davenport, Iowa. 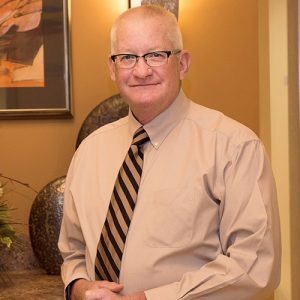 Dr. Harshman started his chiropractic career in Neosho, Missouri and relocated to Springfield, Missouri in 1987. 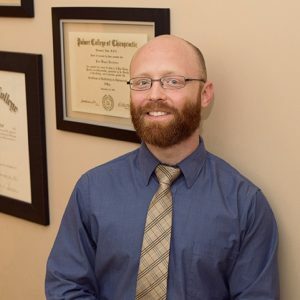 During his time in Springfield Dr. Harshman has served on the board of directors for the Ozark Regional Chiropractic Association and he strives to be the best chiropractor in Springfield MO by continuing to learn and lead others in his profession. He is a member of the Missouri State Chiropractic Association as well as the American Chiropractic Association. Dr. Harshman earned the Advanced Proficiency rating in the Activator Methods Chiropractic Technique in 1988 and has retained this rating now for almost 30 years. Dr. Harshman has worked as a consultant for Integrity Management teaching and coaching chiropractors around the United States and Canada. During his years in Springfield, Dr. Harshman has been active with the Springfield Chamber of Commerce, The National Exchange Club (past president), Sunrise Rotary (Board of Directors and Rotarian of the Year 2015). Dr. Harshman is currently serving on the board of directors for Twin Oaks Country Club. Dr Bryan Dame DC Dr. Bryan Dame graduated Magna Sum Laude in 2007 from Cleveland University, Kansas City. He has been practicing in Springfield, MO with Harshman Chiropractic Clinic since 2010. He and his family love the outdoors and very much enjoy living in the Ozarks with all it has to offer. Dr. Dame is an avid trail runner and fitness enthusiast who fully believes that proper balance and alignment of the spine and body is an essential part of reaching your maximum potential. By maintaining proper alignment and mobility of the spine, your body not only performs better, but is also less likely to be injured as it is better able to adapt and adjust to any strain placed upon it. Whether you’re a competitive athlete looking for an edge in your performance, or someone looking for motivation to get started on a new path to health through physical activity, he can help. Dr. Dame uses not only gentle chiropractic adjustments to the spine, but also various soft-tissue treatments to alleviate pain and restore alignment to the entire body. By promoting joint health and function along with correcting any imbalances in the muscles that work on that joint, you ensure faster and more complete recovery.